Maintaining a safe and stable plant is the objective of everyone involved in the manufacturing process. As Peter Drucker once said, "A well-managed plant is silent and boring," but it actually takes a lot of work and effort to ensure this is the case. Alarm management in the plant is not just another project that gets executed, but it is a philosophy, a way of life just like safety. We don't ever enter the process area without wearing PPE, so why work in an environment where there is no strategy for alarm handling? 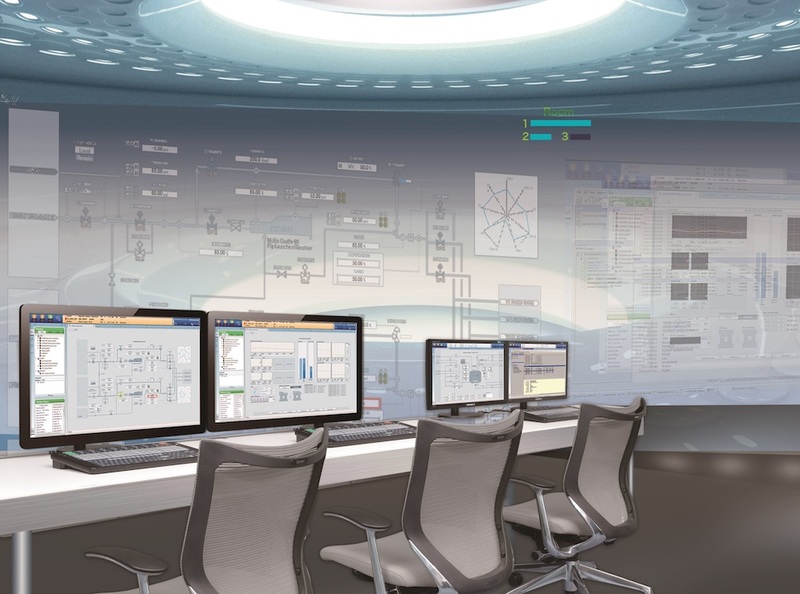 The alarm management system is one of the most important aspects of the plant and, like everything else, it must be maintained to meet the ever-changing needs of the plant. In the early days of control systems, before the Distributed Control System (DCS) became commonplace, configuration of alarms used to be done through mechanical means with annunciators, light boxes, etc. 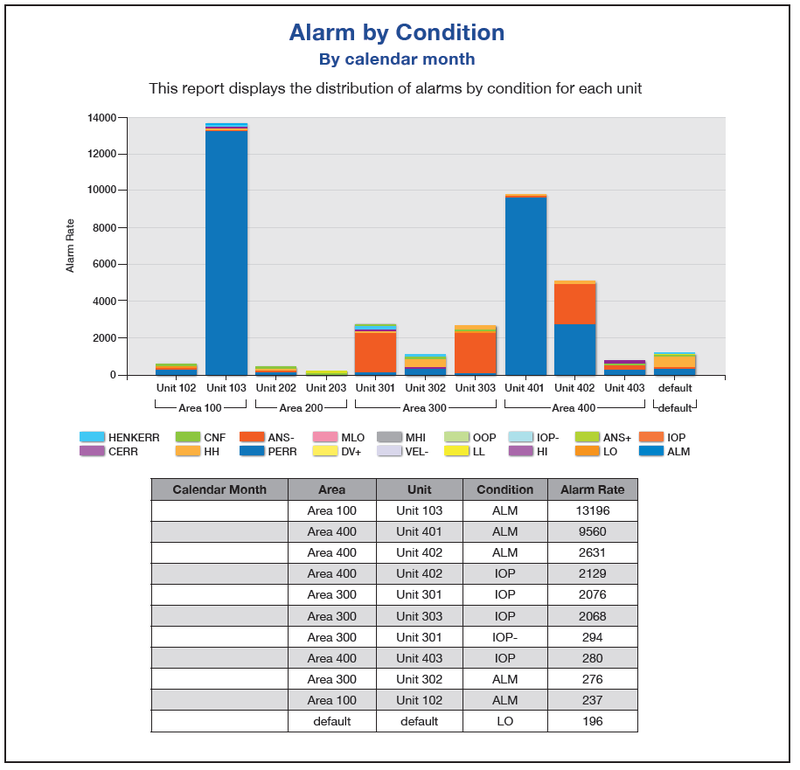 Now with the advent of the DCS, the cost of making extra alarms available has significantly reduced as it can be mostly done by software. However, the operator still becomes overwhelmed with unnecessary alarms if the control system design is not approached correctly. To fully understand the purpose of the alarm management system, we must look at the basic meaning of what an alarm actually is. Most alarm problems exist because the above criteria are not met. Understanding this definition is key to implementing a successful alarm management system. Alarm rationalization is a process of optimizing the alarm system for safe operation by reducing the number of alarms, reviewing their priority, and validating their alarm limits. By undertaking such steps, we help reduce the workload of the operators and promote a safer working environment within the plant, and when a plant upset does occur, more visibility is available on the alarms that really matter. 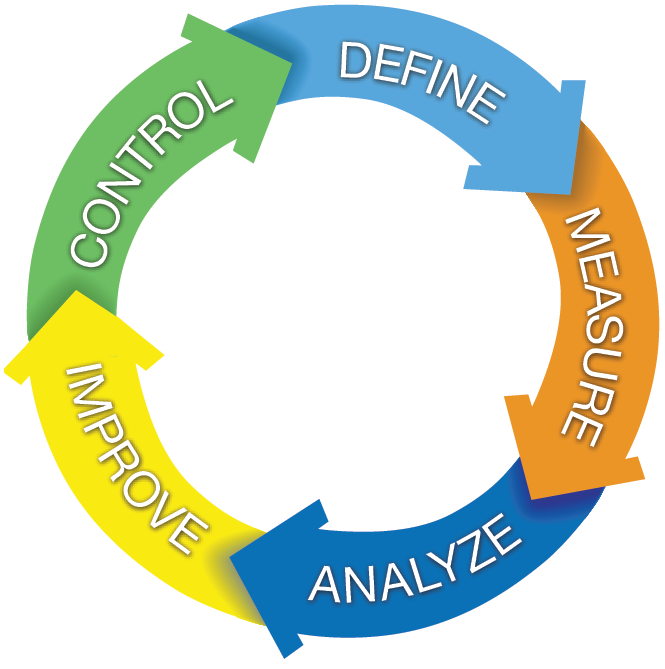 As highlighted previously, alarm management is not just a project that has a start and end date; it's a continuous cycle. Once the alarm system has been reviewed and improvements have been identified, we must check that controls are in place to ensure the alarm system remains functional. The key is to ensure that the system is continuously monitored and any changes are fully documented. It is essential that any initiatives regarding alarm management have management support available, otherwise little improvement will be made in reducing the alarm counts and improving overall safety and improvement in the process. There are seven key steps for alarm management. Rationalization is one of those critical steps. The alarm philosophy document is critical and, without it, there can be no way to implement a successful alarm management system. This document forms the basis of the overall design guidelines and will record all the expected KPIs that will be used to measure the success of the alarm management system. The alarm philosophy should also cover the design of the interface to the operator so the graphics are clear and upsets are easy to spot etc. To measure the success of any alarm management system, we must know how big the alarm problem is that is currently being experienced. How many alarms are being generated per day, how many alarms does the operator handle on an hourly basis, what are the deficiencies we currently have in the control system? These are all valid questions and benchmarking is the starting point. Perhaps even performing a HAZOP-like study at this stage would be advantageous. Most alarms in the control system come from relatively few sources, and checking these and fixing them will make a big difference to the overall alarm count. Reviewing the Top-10 list helps to keeps it under control. Yokogawa's Exaquantum/ARA software can provide this list on a daily basis by email or, by using Yokogawa's Exaplog alarm/event analysis tool, we can manually extract the bad actors. The most important step of the alarm rationalization process is to ensure that each change is documented and the alarm changes comply with the alarm philosophy. Alarms can be eliminated completely by re-engineering in the DCS or adopting suppression techniques. Once the rationalization is done, the hard work is not over! 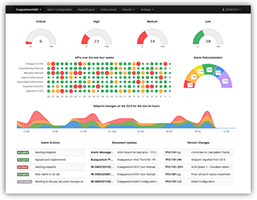 Without proper change management controls in place the alarm system will slip back into its old ways. Consider adopting a Management of Change (MOC) approach to the alarm system to ensure all changes are tacked. Exaquantum/AMD can also help by identifying changes to the alarm settings and, if required, the optimal settings can be enforced automatically. For day-to-day operations, we should adopt alarm management techniques that will support rather than hinder the operator by providing Alarm Shelving, state based alarming or other alarm suppression technologies. Continued compliance to the alarm philosophy is crucial by continuously monitoring the alarm KPIs and making any required changes through a MOC type procedure. Nominate an "alarm champion" that will oversee and manage day-to-day issues. Remember that alarm management is not a one step process. A general approach of alarm management and the steps required to implement a successful alarm management strategy was addressed in Part 1. Now, we explore the concept of alarm rationalization. As discussed earlier, the best starting point is to look at how big of an alarm problem we actually have. We can also use this as a baseline to track progress for the future. The first item to address is our "bad actors." That is the alarms that are causing the most issues within the process. Eliminating the top ten of these alarms will make a big improvement in the overall alarm count in a short period of time. 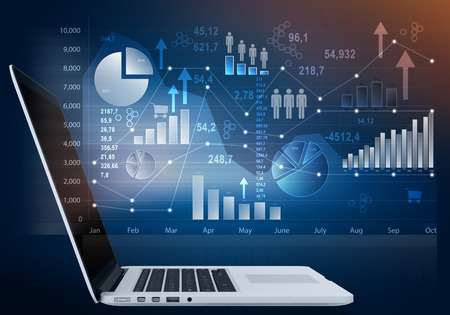 The bad actors can be obtained easily by using Yokogawa's alarm/event analysis software tool, Exaplog, or its alarm reporting and analysis software, ExaquantumARA. These tools should be run and the results reviewed on a regular basis. In Exaplog, a report can be manually run when needed, and in ARA, a report can be generated automatically and sent via email. The bad actor list in the table on the left is an example of a plant before alarm rationalization was started. 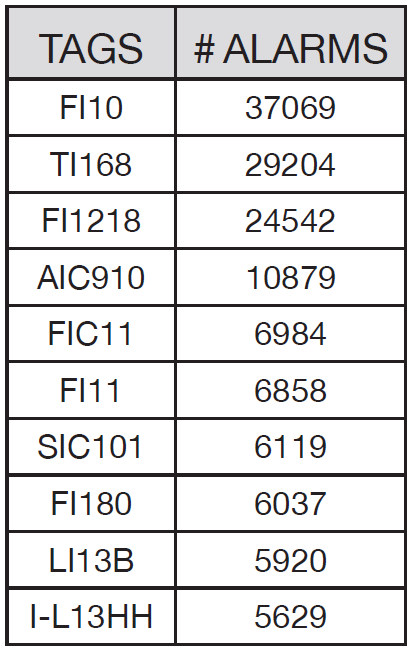 The alarm counts for the first three tags in this list were exceptionally high and were all found to be caused by an input open (IOP) error, which in most cases is related to a communication issue in the field, a hardware issue with the transmitter itself, or possibly an incorrect alarm threshold setting. In this case, all of the concerned transmitters were connected to a faulty fieldbus segment. Replacing a fieldbus component cleared the problem and suddenly there were no more alarms. This immediately made a big impact on the alarm count. 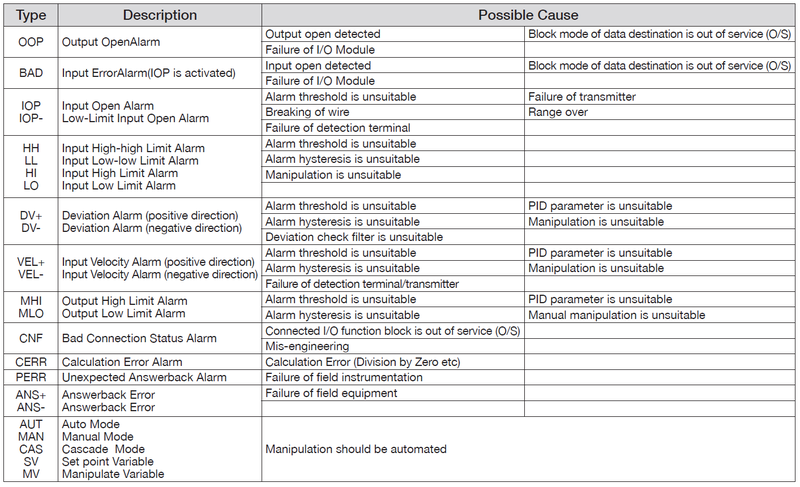 The following table can be used as a general reference for help in troubleshooting different alarm types in a Yokogawa CENTUM system. It is always best to remember that just because the alarm count is high for a particular tag, there may be a logical explanation for it, and the tag should not just be suppressed because it's a nuisance to the operators. This first stage of alarm rationalization is called "Fundamental Nuisance Alarm Reduction" (FNAR). Running a report for the bad actors and displaying the condition is recommended, as it can be filtered for the different conditions, plant areas and even down to an individual unit. After looking at the bad actors we can also look at the "chattering alarms." The EEMUA#191 alarm standard specifies that a chattering alarm is a tag that goes into alarm and normal again more than five times in a 60-second period. In most cases, these chattering alarms could be caused by incorrect alarm limits. As part of the rationalization, the chattering alarms should be looked at closely and the limits reviewed accordingly. Familiarization with the EEMUA#191 guideline and the ISA18.2 standard are important to understanding alarm rationalization, alarm management and the key performance indicators. The EEMUA#191 guideline is a detailed specification of alarm management and goes down to the detail of providing guidance of how DCS mimic displays should look and what type of furniture to use in the control room to make the operators more comfortable during their shifts. All Yokogawa alarm management based products were initially based on the EEMUA#191 guideline and are being applied to the ISA18.2 standard. In the ideal world, EEMUA#191 recommends no more than one alarm per operator every 10 minutes. That would be quite an achievement and is a rare occurrence. A big difference can be made the bad actors list; to identify them, and eliminate them. Making the review of the bad actors list part of the daily activities is a work process well worth the effort. Otherwise, your effort will be wasted and soon those alarms will be coming back again!